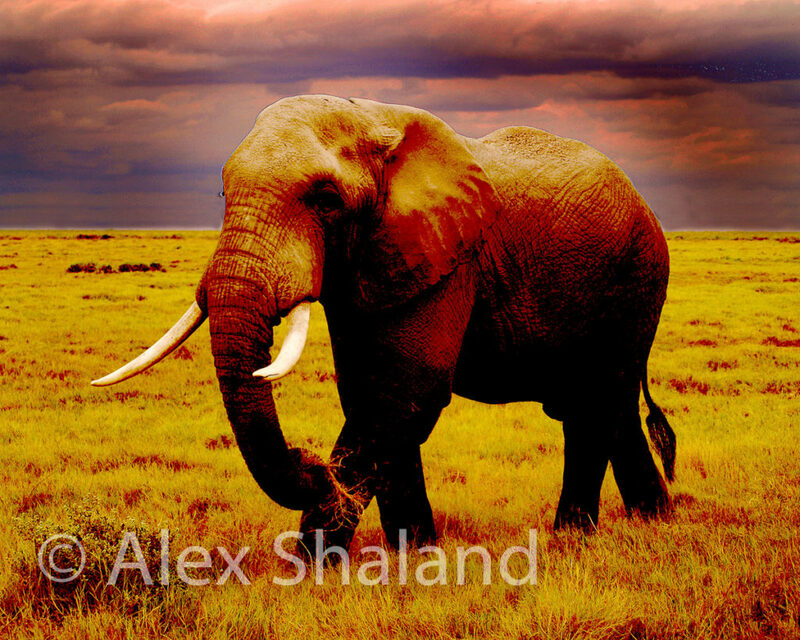 Photo Title: Elephant walking while a storm is brewing over Amboseli National Park, Kenya. The photo of this elephant is my entry for the 2019 AAWR Members Annual Exhibition. I took this photo during our 2013 Great Migration trip to Kenya and Tanzania in Amboseli National Park in Kenya. The sun was setting down, and dark clouds were rapidly moving in. On the way to the lodge, we passed this majestic animal rapidly walking along the side of the road. The plains, the dark clouds, and the walking giants were too dramatic not to snap a photo. We came to Amboseli while racing across the Serengeti Plains following thousands of wildebeests and zebras on their 900-mile long Great Migration route. Situated at the foot of Kilimanjaro, Amboseli is one of the largest reserves in Kenya and is specifically dedicated to preservation of elephants. With the area of approximately 150 square miles, the park has plenty of open space for almost a thousand African elephants. They are all larger species–the bush African elephant. The smaller forest African elephant is almost half the size of its larger brother. In addition to elephants, there were plenty of opportunities to spot cape buffalos, giraffes, hyenas, lions, monkeys, and wildebeests, not counting a great variety of birds. And as a bonus, on a clear day you can see the magnificent Mount Kilimanjaro, the world’s highest free-standing mountain. Amboseli National Park is easy to drive to. Located on the border with Tanzania, it is only 150 miles southeast of Kenya’s capital Nairobi. You can also hop on a small airplane and fly to the Amboseli Airport. This entry was posted in Africa, Travel Books, Wildlife and tagged About Africa, Africa, Africa travel, African safari, African safari animals, amboseli, elephant, elephants, Kenya, Kenya culture, Trip to Africa, Voyage kenya, Wildlife conservation, Wildlife park, Wildlife photography. Bookmark the permalink.